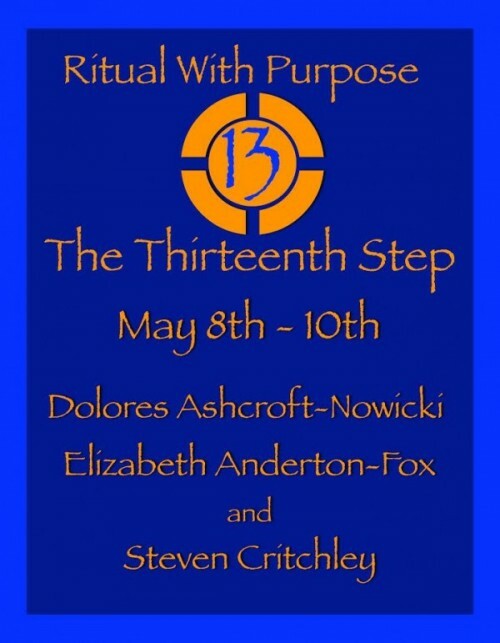 Dolores Ashcroft-Nowicki, Elizabeth Anderton-Fox and Steven Critchley will present a weekend of intensive working of rituals and teaching at Savio House, near Manchester, UK. We aim to focus the work towards those rituals that produce specific effects both in ourselves and in our environment. We aim to make your participation in these Rituals with Purpose a memorable and developmental experience. Our theme this year will be The Thirteenth Step. For more information or to secure your place, download the RWP13 Booking Form.